Okay, I promise I will try not to harp on about the continuing Arctic levels of cold we’re experiencing in Northeastern Ontario, or the state of my house (surprisingly still relatively clean after a week!) or any of the usual. Let’s talk about my upcoming book, Crystal and Wand: Book Three of the Talbot Trilogy. It’s been a while in coming, but edits are happening at the moment and I’ve given my blessing to a cover layout currently being finalized. I’m hoping it will be released sometime in the spring, the culmination of something like nine years of (off-and-on) effort. Hubby and some friends and readers have suggested repeatedly that there could be more to it than these three books (Wind and Shadow, Blood and Fire, and Crystal and Wand, plus the prequel novella Mist and Midnight), but since it was never meant to be anything more than a trilogy, I’m 99.9% sure that the story will end with this book. So far, the feedback has been good. The handful of beta readers who have gone through Crystal and Wand have been pleased with the ending. But the other question is this: am I happy with it? Have I written something that makes me feel happy and satisfied? I’m not entirely sure I know the answer. There were so many ways the story could have gone, options that could have been taken, and places where I was surprised by directions I didn’t see the plot or characters taking. That happened with the first and second books, too. But — without too many spoilers — the characters ended up where I had wanted them to be in the end, happy and moving forward in their lives. Well, most of them, anyway. In my Writer’s Craft class the other day, we moved from writing flash fiction to looking at audience awareness, and I segued by briefly talking about measures of success. I offered them for comparison what I’ve read about the way markets measure success in bookselling and authors’ achievements — x number of books sold in a day, the attainment of Bestseller status in bookseller lists — and what authors like Stephen King have had to say about the meaning of being a successful writer, which is mainly loving what you do and continuing to do it. By the first measure, I haven’t even come close to the nadir (unsurprising given a variety of factors, including that I’ve only been selling my work for four years-ish, I’m an indie author with zero budget for advertising beyond what I redirect from my own family accounts, and all of the challenges that accompany that reality), yet by the second measure, I’m there. I keep writing, trying to keep from having any real expectation of attaining bestseller so I don’t end up feeling disappointed. Of course I harbour the hope that my books will reach some kind of popularity because I love knowing that someone out there is reading and enjoying my stories. I always love hearing that, and I’m grateful for the reviews I’ve had so far. I find it hard to pump my work sometimes because I don’t want to feel like a pest or a braggart. Yet I know the only way to find readers is to let people know that I’ve written a book and suggest they take a look at it. it’s a hard place to be in, but it’s the only place. 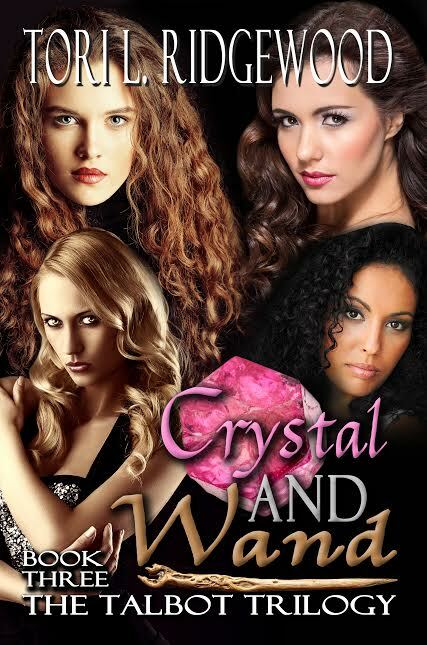 Crystal and Wand wraps up the first set of novels I’ve done, and that alone feels great. I like telling people about that, because speaking the words reminds me that I’m capable of achieving more than I believe I can, especially when depression and anxiety are starting to circle. The gratification also leads me to think about my next projects. I’m going to be working on a short story or novella for my grade 11 College English students who like snowmobiling — I’ve asked them to help me with the details, ensuring I get them right, because I’m not into snowmobiling but I really want to give them something to read that they’ll be into reading. One of several works that I’m considering, and having trouble deciding on . . .
After all, if writing is a journey, the first step is picking the direction in which to go. I need a compass. I’m good with requests, shorts, and challenging pieces. There’s one book in particular that I’ve been thinking about for two years, waiting on attempting until my trilogy was complete, but I already believe it’s going to take a monumental effort and I’ll have to work on it every day for months or years to shape it the way I see it in my head. But knowing that . . . having felt the wave of good feeling that comes from having completed a book on my own, writing a story from start to finish, it’s a goal I know I can meet if I put the time and thought into it. Anyway . . . at the moment, I’m knee-deep in marking for this semester (already). My daughter is watching The Princess Diaries once again, while my son games upstairs in his room with varying degrees of noisiness. Doing laundry and putting the electric heater on has helped the furnace to warm the house to a sufficient degree of comfort. Hubby had to work at 4 am this morning so he’s been asleep since around 6 pm, and he’s working tomorrow morning at 5. No Valentine’s Day supper or anything, and that’s all right. He gave me a little blue French horn keyring earlier this week. We have our romance, whenever we need it or want it. Writing a fresh book is on my mind, in a bit of a backseat, creeping closer. In a few months, I hope, I’ll be holding a freshly printed copy of the final work in my trilogy, rounding off the set on my bookshelf, and embarking on the all of extras required in spreading the word. Hope you’re still with me when that happens — I’ll try to make it a hell of a ride!